Chrono Trigger | Shocking Videogame Secrets! The Rick Astley song used to Rick Roll people is ALSO a Chrono Trigger song… ROBO’S THEME SONG IN FACT!!! MIND BLOWN! http://www.youtube.com/watch?v=UoLnGigtFe8 – One that combines the two… seamless! 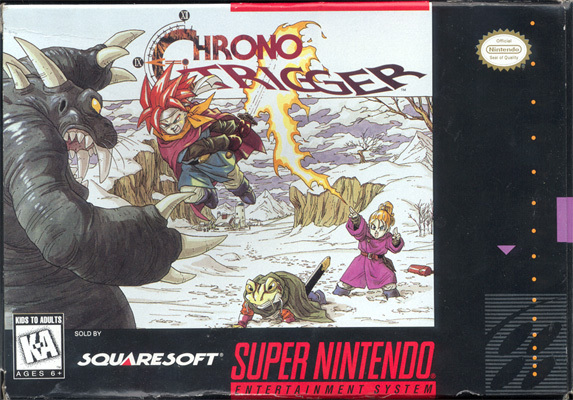 When I was young, I had this magazine that had the first screens of Chrono Trigger and one of them was a crystal like level/area that didn’t make it into the final game. I remembered it well because it looked way cool back then. I had thrown the magazine away many years ago and surprisingly I can’t find anything even remotely related to that on the Internet.